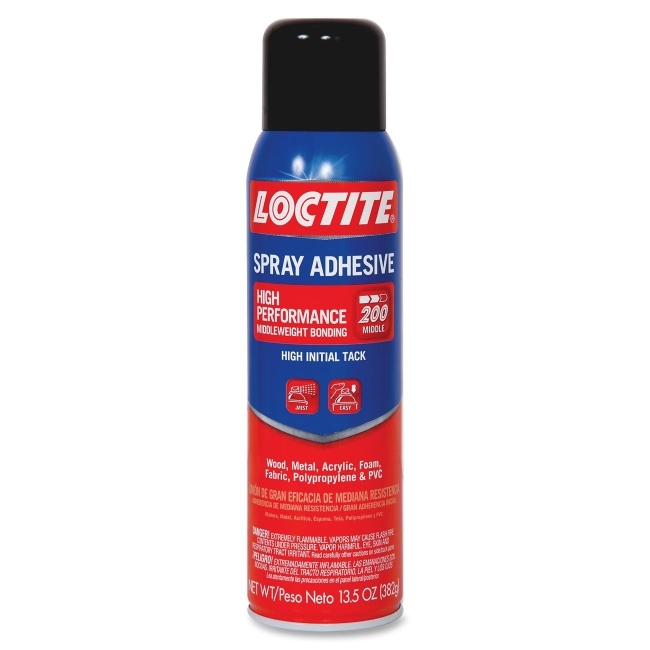 High-performance, spray adhesive delivers a heavy mist coverage for heavy stocks and fabrics. Premium-quality formulation dries clear and has a superior bonding strength. Quick-drying, acid-free adhesive is ideal for a wide range of household and automotive repair projects. With its high initial tack, the spray adhesive will work on a variety of porous and nonporous substrates. Use on wood, metal, acrylic, foam, fabric, polypropylene and PVC.